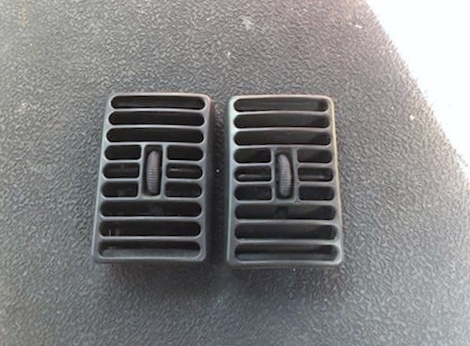 Here is a set of grey outer dash vents. They're in good used condition. These are installed above speakers closest to doors on the left and right side of the dash. They will fit TJ model years 1997-2002. These were removed from a 2000 TJ. This may fit other models or years, please check your application. Used parts are expected to have some wear, surface rust, scratches, etc. Be sure to check out the pictures!